Smartphone shipments in China saw their biggest ever decline in the first three months of 2018 to spark fears of a global sales slowdown. New figures from analyst firm Canalys found that shipments fell 21 percent year-on-year during the first quarter of the year. In total, 91 million units were shipped during this period, a figure not seen since Q4 of 2013. Canalys reported that eight of China's ten biggest smartphone vendors were hit by falling demand, highlighting that this is an industry-wide issue rather than being limited to a single company. 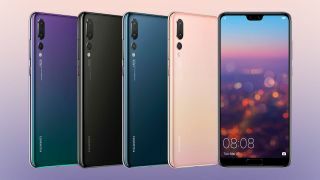 Huawei (including its Honor brand) was the only major vendor to record a rise in shipments during the period, seeing a two percent rise. It clung on to top spot as the country's largest smartphone provider, shipping 24 percent of all devices during the quarter. Second and third-placed Oppo and Vivo bore the brunt of the quarterly decline, seeing a 10 percent decline each, although there was better news for Xiaomi, which saw shipments rise 37 percent to record 12 million sales and move into fourth place overall. These four accounted for nearly three-quarters of all phone sales in China during the quarter, with non-native smartphone giants Apple and Samsung also seeing losses, with the former being overtaken by Xiaomi. “New smartphones will definitely entice people to upgrade, but vendors are more careful of avoiding oversupply in the channel," said Canalys Research Analyst Mo Jia. The news comes days after similar research by GfK revealed a global decline in demand for new smartphones, with sales falling two percent to total 347 million units sold across the first quarter of 2018 - including a six percent year-on-year drop in China.